What Are Benefits Of Horsetail & Uses? Horsetail is also known as Equisetum arvense and is a sterile and thin plant from the family of vascular plant. Horsetail is mainly found in Europe, North America, Asia, & the Middle East. Other common names for this plant include pewterwort, candock, scouring rush, shavegrass and horsetail fern. Ancient Greeks, Roman and Chinese herbalists have been using Equisetum for centuries for its medicinal benefits. Horsetail is a very useful plant because it is enriched with many beneficial properties such as antioxidant, anti-inflammatory, antiseptic, healing, and antimicrobial. Therefore, the benefits of horsetail on health and beauty are numerous. Curious to know!  Keep reading this article on Effectiveremedies.com site to find out what these benefits are. Horsetail extract can improve bone density, according to a study of the University of Maryland Medical Center. A clinical study also indicated that horsetail can regenerate bone tissues . In addition, researchers of University of Maryland Medical Center revealed that this plant contains a substance named silicon that keeps bones strong. It can repair bone density thanks to the presence of silica and calcium in it. For this treatment, you should take 2 horsetail extract capsules every day. According to research, the decoction of the horsetail dissolves stones that block the urinary tract, which in turn improves urine flow . Furthermore, this herb can remove kidney stones naturally since it contains amazing diuretic properties. 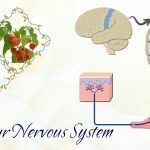 Moreover, it can deal with the problem of fluid retention in our body. All you need to follow is having one cup of horsetail tea daily! According to a study, horsetail extract helps to reduce levels of blood glucose within 90-120 minutes. In another study, patients with type II diabetes had lowered levels of blood glucose after administration of the horsetail extracts . For this remedy, you take 1 capsule of horsetail extract before every meal (thirty minutes or so). Remember to take a maximum of 2 capsules per day. An article published in International Journal of Drug Development & Researcher revealed that the horsetail plant is a wonderful herbal remedy for UTI . Horsetail is known for its diuretic agents, which makes it beneficial for managing UTI (urinary tract infections). For this treatment, you can take 1 horsetail extract capsule twice to thrice every day. You can also take a bath using horsetail tea for a minimum of 15 minutes twice to thrice weekly to treat the UTI and bladder weakness. According to the book “Edible and Medicinal Plants of the West”, horsetail is a traditional herbal treatment for bronchitis and tuberculosis. 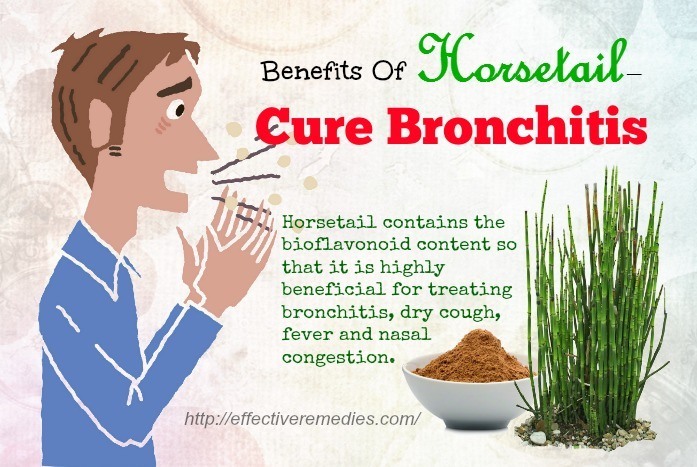 Horsetail contains the bioflavonoid content so that it is highly beneficial for treating bronchitis, dry cough, fever and nasal congestion. All you need to do is boiling some water and add 2 tsp of horsetail to an infuser. Leave it to steep for five minutes and afterward, consume it. Follow this remedy regularly until the congestion subsides completely. Horsetail has the ability to stop or minimize the external or internal bleeding. 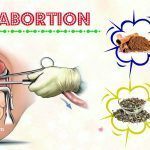 Besides, this plant contains the anti-inflammatory agents that may relieve the discomfort and inflammation caused due to inflamed wounds, menstrual cramps and injuries. You can consume 1 cup of horsetail tea twice to thrice each day. Alternatively, you can directly place the dried horsetail on the wounds and later wrap on a bandage for ten minutes. After that, remove it. Applying horsetail extract will help you to heal cuts and wounds effectively. Horsetail comprises antiseptic properties, which prevent dirt from infecting your body. You need to take 2 tsp each of dried horsetail herb and mashed plantain. Later grind them till smooth and add some water to make a smooth paste. Then, apply this resultant paste on your burnt or cut area and cover with a gauze for fast healing. Thanks to its anti-inflammatory agent, horsetail can calm the gingivitis and reduce bleeding gums and mouth sours. For this purpose, you can make a horsetail mouthwash at home by boiling 1 tsp of horsetail in 1 cup of water with an infuser for around 7 to 10 minutes. You can also add horsetail extract (3-4 drops) into 1 cup of lukewarm water. Thereafter, gargle with this liquid. You should gargle with it 3-4 times every day for quick results. Horsetail demonstrates the cognitive enhancement ability thanks to its antioxidant properties . Horsetail contains silica that strengthens the connective tissues of nerve cells, brain, and spinal cord, thereby improving bad memory. Apart from that, its nicotine stimulates the brain & nervous system. All you have to do is taking 1-2 horsetail extract capsules every day for about 2 months to help minimize the symptoms. 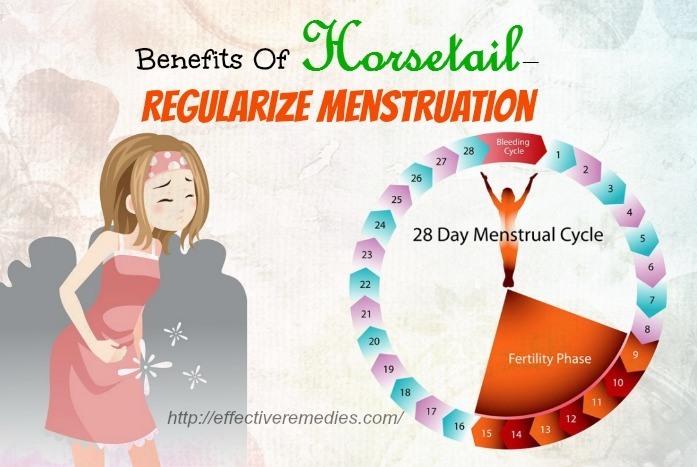 Consuming horsetail extracts or supplements can help you regularize your irregular periods. For regularizing irregular periods, you need to boil 1 tbsp of minced and dried horsetail herb in 1 liter of water. Afterward, have a tbsp of this resultant concoction one time every two hours for severe periods. When your periods start normalizing, you decrease the number to thrice per day. All the food conditions such as chilblains or athlete’s foot can be treated with the help of horsetail herb. Following foot soak with horsetail two times weekly will improve the condition of the feet. To make this foot soak, you prepare 10 tsp of dried horsetail herb, 1 tsp of extra virgin coconut oil and 4 cups of hot water. Later add the herb to the water and leave it to infuse for 5-10 minutes. Then, soak your feet in this solution for the duration of 15 minutes. Pat dry your feet and moisturize them by using the extra virgin coconut oil. Finally, wear socks to keep your feet warm. Horsetail helps to flush the kidneys & urinary tract, thereby increasing urine output. In addition, this herb functions as an antioxidant benefiting the kidneys & renal system. You can get the detailed recipe at the Kidney Cleansing Remedy No. 9. You can gargle with horsetail tea to treat canker sores as well as some mouth related problems such as bleeding gums and inflamed tonsils. For this remedy, you take 1 tsp of horsetail herb and 1 cup of water. Then, boil this herb in one cup of water for around 12-15 minutes and leave it to turn into lukewarm. Thereafter, gargle with this mouthwash and follow the process 2-3 times every day for visible results. Horsetail is very useful for treating hemorrhoids because it contains strong anti-inflammatory & hemostatic effects. You can take a meal rich in fiber that lessens the risk of constipation, thereby relieving hemorrhoid pain. For this remedy, you need to have one cup of horsetail tea prior to every meal. Horsetail herb can give you protection from many germs and disorders. Particularly, its antiseptic, antibacterial and antiviral abilities can give the body protection from the invasion of unwanted pathogens and foreign. 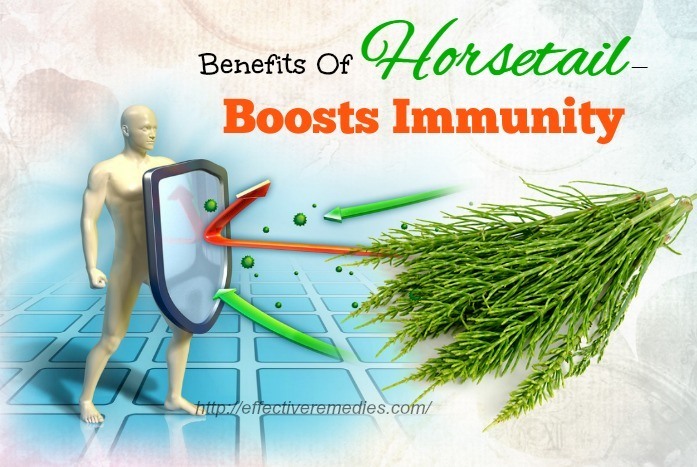 In fact, horsetail promotes the immunity levels, thus fighting against infections. Horsetail comprises the anti-inflammatory features, which make it a great remedy for rashes caused due to clothing as well as other allergies. Apart from that, it aids in soothing the inflammation and removing the marks. 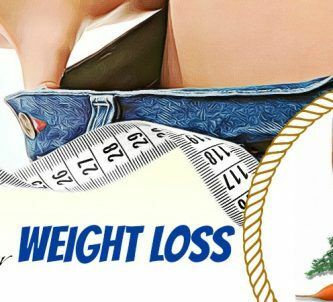 If you are planning to lose weight, then opt for this herb immediately. Horsetail is an ultimate natural diuretic so that it can take toxins out of the body, which in turn helps to boost metabolism. Horsetail can maintain and develop healthy connective tissues in your body. It also helps to form collagen since it contains the silica-absorption abilities. Moreover, this herb also comes with strong antioxidant and anti-inflammatory features, which helps to postpone the aging process. You need to take 1 cup of horsetail extract paste and apply evenly on the freshly washed face. Leave it to stay for the duration of 20 minutes and remove it with lukewarm water. Finally, pat dry with the aid of a clean towel. This pack can be applied twice weekly for best results. According to a clinical trial, horsetail showed its significant improvement in people with fragile nails . Horsetail herb can help you to prevent brittle and weak nails. 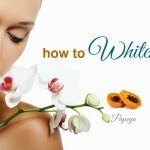 Besides, you can also use this herb to deal with white spots in your nails. For this remedy, you need to prepare 1 cup of boiling water, 2 tsp of dried horsetail herb, 1 tsp of extra virgin olive oil and 1 tsp of lemon juice. Then, steep the horsetail herb into the boiling water for the duration of 10 minutes to make the infusion. After that, soak the nails in this resultant solution for 18-20 minutes and pat dry with the help of a clean towel. Now mix together the lemon juice and olive oil and evenly apply on your nails with this mixture. Use a muslin cloth to wrap the fingers and leave it overnight. Follow the process 3 to 4 times weekly for prettier and shinier nails. 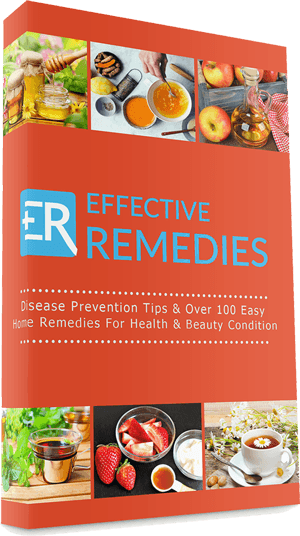 According to the book “95 Surprisingly Effective Natural Ways to Fight Acne”, horsetail is a beneficial treatment for moderate to severe acne. 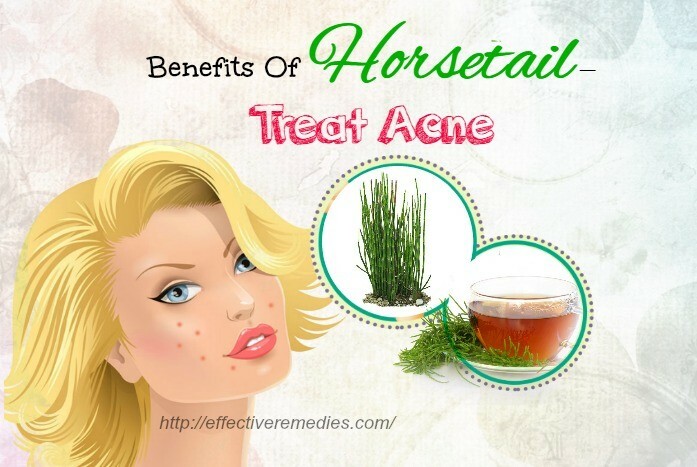 Horsetail works as a toner so that it can treat acne and pimples and purify the skin altogether. 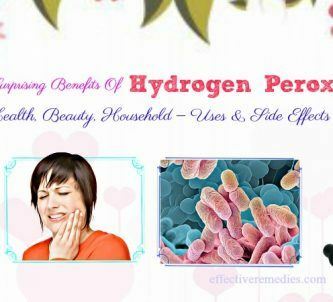 For this remedy, you clean your face using water and mild soap at first. Later immerse 1 clean cotton ball in 3 tbsp of cold and diluted horsetail tea and then, apply on your acne. Don’t press hard and wash it off after 20-30 minutes with normal water. Finally, pat dry your face by using a clean & dry towel. Try following this procedure twice each week for significant results. Horsetail herb is an excellent treatment for curing baldness and promoting healthy hair growth. All you need to follow is adding ½ cup of horsetail herb to 1 cup of water. Later let the mixture steep for the duration of 60 minutes and then, strain the mixture. Thereafter, use this solution as a hair rinse. You can use the hair rise regularly to promote hair growth. Due to its silica, horsetail is an effective remedy to cure hair problems such as split ends and dandruff. 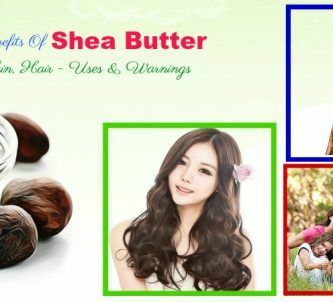 This excellent hair care product will make the hair look beautiful and healthy. For this purpose, mix 1 tsp of extra virgin olive oil and 2 tsp of horsetail extract to get a mixture. Then, massage your scalp and hair with this mixture. Thereafter, wash it off after 16-18 minutes with lukewarm water & mild shampoo. The simple remedy should be repeated twice each week. Regular application of horsetail tea will make your hair shiny and soft. This is because this herb functions as a natural conditioner. So say goodbye to frizzy and dry hair by using this remedy. Horsetail helps to prevent the appearance of eczema and blemishes. 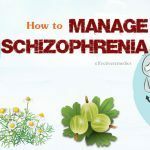 To get the detailed instructions, you click at the Eczema Remedy No. 11. 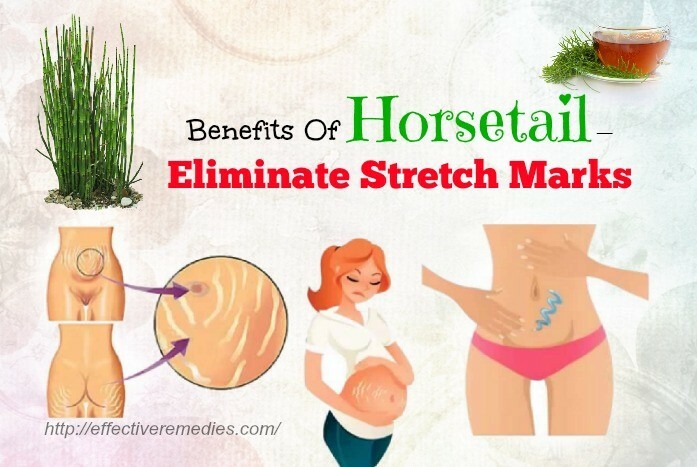 You can easily minimize stretch marks with the help of horsetail herb. You click at the Stretch Marks Remedy No. 34 to know about the detailed recipe. Horsetail is safe as taken in moderation and short term. If you’re taking any other medication or supplements, consult with a health care provider before using the horsetail herb. This herb contains a chemical named thiaminase that can break down the vitamin thiamine. This effect could cause the lack of thiamine. Besides, horsetail contains diuretic and nicotine agents which may lead to serious health troubles such as low potassium (hypokalemia) or dehydration and nicotine overdose symptoms including cold hands and feet, rash, abnormal heart rate, fever, weight loss and muscle weakness. Pregnant, lactating mothers & children should avoid using horsetail because it contains nicotine content. Generally, those who are alcoholics are thiamine deficient so that taking horsetail may make thiamine deficiency worse. You can buy horsetail at any herbal food store in the form of liquid or powder extract, dried leaves, tea bags, tincture, and capsules. Remember to look for Equisetum arvense when buying horsetail since most of the other horsetail species aren’t safe for oral consumption. You should store horsetail in dark and airtight containers. You already knew many benefits of horsetail for health and beauty. Now include this herb in your diet to treat many skin, health, and hair problems. If you want to know more other articles, then visit directly our main Superfoods page. 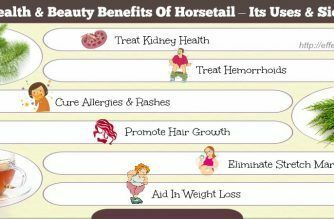 Do you know other uses and benefits of horsetail? Feel free to share them with us.